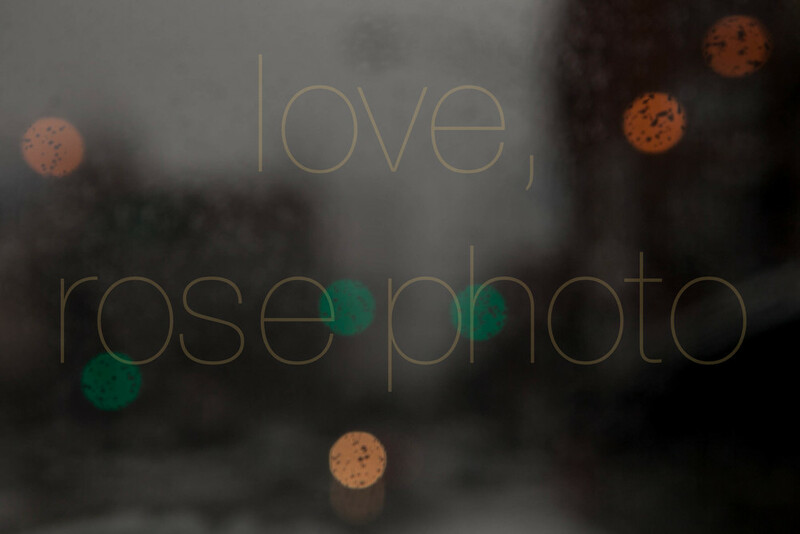 We had the distinct pleasure of starting a new photographic story with Meredith + Ross this past Valentine's Day. The Rose Photo Custom Engagement Shoot always starts with a toast to get the photogenic blood flowing! Once we learned a bit about these two lovebirds in our initial consult, I suggested we start with libations at the classic & 'very Chicago' Erie Cafe. 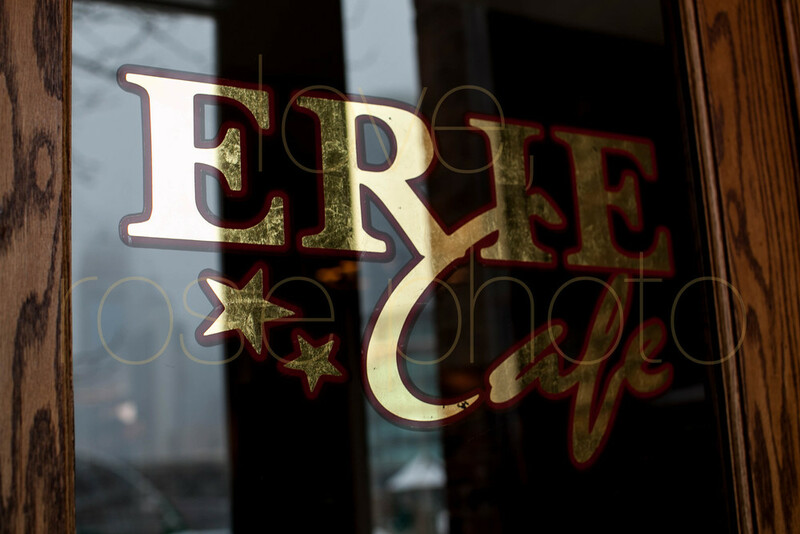 A stone's throw away from their River North condo, Erie Cafe was the perfect back drop as Meredith + Ross shared stories of how they met, how he proposed this past fall and the fine details of their upcoming New Years Eve wedding. I had my camera in hand for all the sweet candid shots but for this shoot we thought to capture some movement, a little chit chat and maybe some laughter..in real time, with a motion picture. A few drinks later, the giggles were contagious and the conversation delightfully endearing as Meredith + Ross each sat for on-camera glimpses into their similarities and idiosyncrasies. We'd been crossing our fingers for a snow day for this shoot but with this incredibly mild Chicago winter, we weren't sure we'd get one. With February 14th as our last ditch date in order to get the 'Save the Date' cards out in time, the weather gods smiled on us with a perfectly timed, early morning snow fall; leaving the afternoon trees dusted in white. 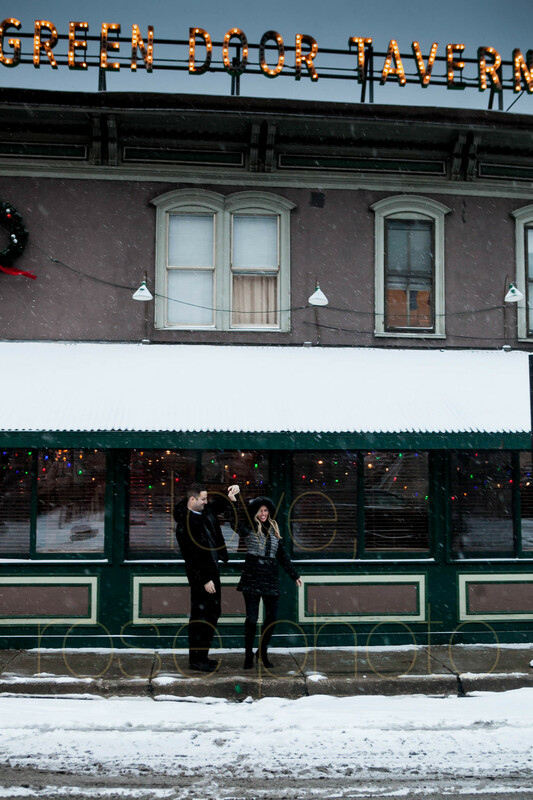 We created such a sweet set of imagery both cozy at the bar and out on a winter stroll in nearby Erie Park. Once the golden hour of twilight set in, we captured our last shots at the infamous Green Door Tavern, one of a few still existing, pre-Chicago fire buildings and home to one of the city's hottest speakeasies, The Drifter. With so many great photo opts, now the challenge will be picking our fave for that hot ticket item, the 'Save the Date' card! 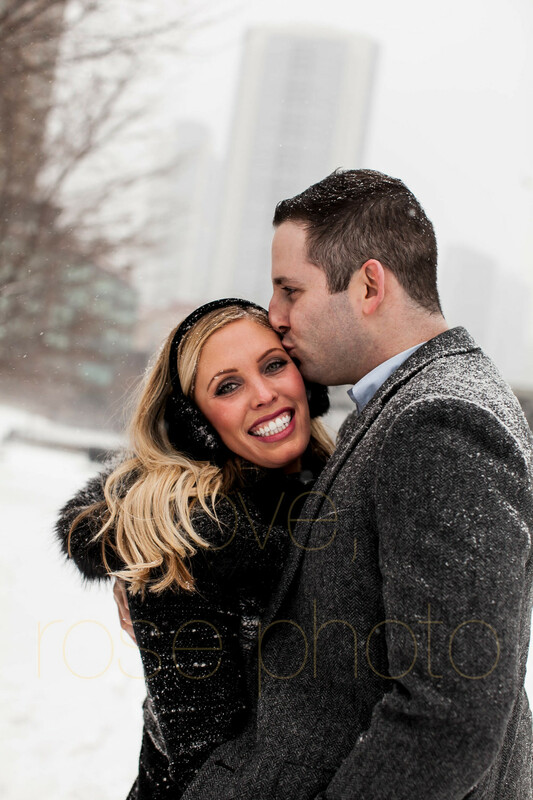 Meredith + Ross, we love your love!! Whiskey drinks and snowball fights aside, we think you two are made for each other. 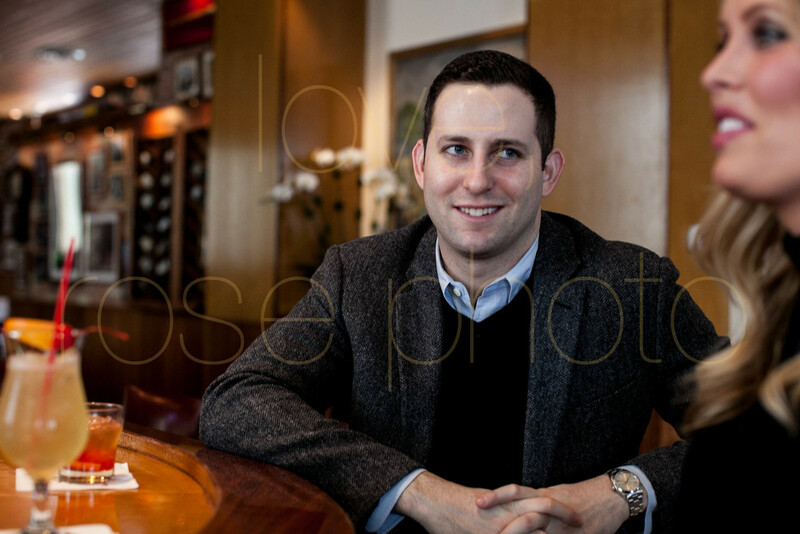 Thank you for your generosity of character, love for one another and trust in Rose Photo to tell your story. We cannot wait for NYE 2016!!! !